It's that time of year again! Fall is officially in full swing and the holidays are right around the corner. That means that it's time for the second annual Gobbling Up the Giveaways giveaway hop hosted by The Anti-June Cleaver and Our Piece of Earth! We have teamed up with an amazing group of bloggers to bring you a lot of fantastic of prizes to kick off the holiday season. 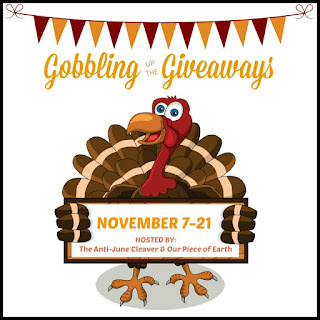 After you have entered my giveaway, be sure to visit the linky below for more great prizes. Heroes. What do you think about when you hear this word? Do you think superheroes? A favorite athlete? The military? There are so many different viewpoint on what qualifies as a hero... but what does the dictionary say? Taking a look at that definition, its easy to see why we all have so many different ideas on what a hero is. A hero can be someone who overcame tremendous obstacles to change the world or save a life. A hero can be an athlete who worked hard to be the best in their fields. Or a hero can be something as simple as a parent who encourages their child and believes in their dreams. We loved learning about all of these heroes- all different, all heroic. It served as a great reminder for my children that you don't have to follow in someone's exact footsteps to make a difference. You don't have to be super strong. You don't have to fight wars. You don't have to be a musical genius. You simply have to be yourself and be your own best person, whatever that might mean, and we ALL have the ability to be a true hero. 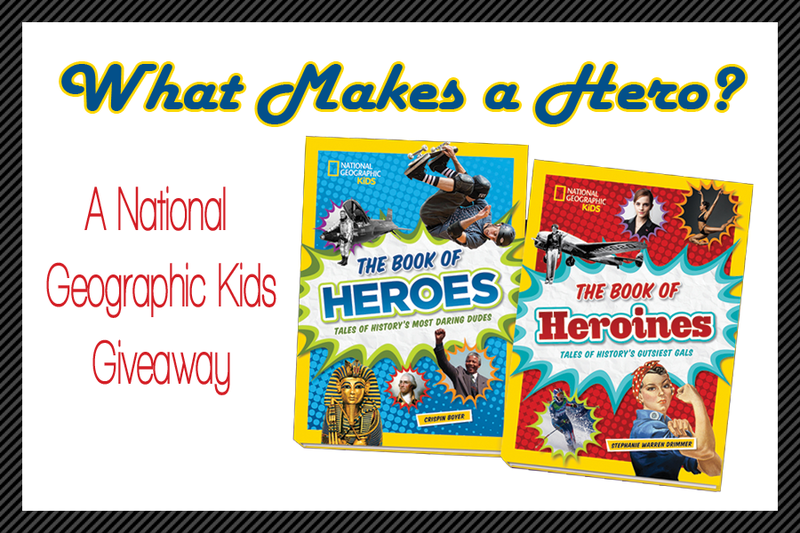 Both The Book of Heroes and The Book of Heroines retail for $14.99 each and are great gift books for children ages 8-12. Connect with National Geographic Kids Books online to see their latest products and get exclusive access to discounts and special offers! I love that they show heroes of ALL kinds!! They dont define a hero as one occupation or gender! How awesome! I love National Geographic for my kids and for me too. Love these, what great books for kids! These books would make a great gift. I love these books. I especially like that their is a book of just heroines. We need to show our girls they can be heroes too. These are great! I'd love a chance to share all of these heros and heroines with my daughter! I appreciate that they made both heroes and heroines versions!! National Geographic for Kids has great books for children. These 2 in this giveaway would be enjoyed by my grandkids. These books sound really interesting! National Geographic makes great books. My niece will love these. Thanks for the chance. My children love all the Kids National Geographic Books! My children would love this prize pack. It is important to show them positive roll models. What wonderful books! They sound great for my nieces! National Geographic makes learning so much fun! My son and daughter would love these books.